Recently our very own Marcus Jaye wrote an article on the wardrobe basics that are considered to be the best of their type. The kind of items that are at the apex of quality, fit and style, will never go out of fashion and could potentially last you a lifetime. However, if my time writing for this site has taught me anything, it’s that some (if not most) men don’t have the spare cash to spend on expensive items, especially things like luxury t-shirts and chinos. Instead, their hard-earned salary goes towards necessities such as a roof over their head, electricity and food. Or probably just lots and lots of beer. Either way, it’s important to emphasise that, like all industries, fashion works on a broad spectrum. Just as there are some labels that are the best of their kind, there are also brands that are affordable and offer great value for money, too. I’ve even been having conversations lately about how it would be possible to shop entirely at vintage and second-hand shops and still look great. But more on that another day. My general philosophy when it comes to buying clothes is this: splurge on the important pieces, save on everything else. And what I mean by that is when it comes to items such as tailoring, shoes and outerwear I like to do my research, save up and buy the best I can afford. This is because you really do get what you pay for – whether it’s a fully canvassed suit over a fused one or high quality leather that will last you a lifetime. But when it comes to staples such as t-shirts, chinos, jeans, shirts and knitwear, I go with brands and retailers that I know deliver value for money. Before we start, I’d like to point out that I have always been a huge fan of quality construction and fabrics, so I’ve tried to only include brands that offer comparable style/quality to premium fashion houses, but for a fraction of the cost. Oh man, I could wax lyrical about UNIQLO for days. So let me sum up everything I’m about to say with this: just buy all your basics here. Aside from the fact that their t-shirts are £4 and fit like a dream, they also produce awesome knitwear, chinos and denim. 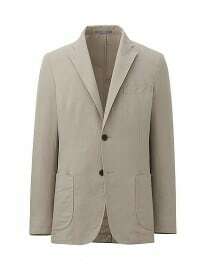 Even their blazers look great after some minor alterations, with their recently released linen-cotton blend versions set to become an essential purchase this summer. 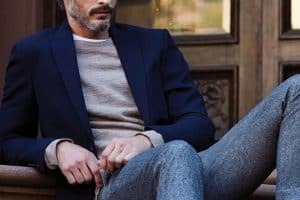 UNIQLO also tend to release distinct collections with the present season in mind, meaning they are a great place to find seasonally-appropriate pieces in everything from tweed, corduroy and lambswool to linen, madras and seersucker, depending on the time of year. 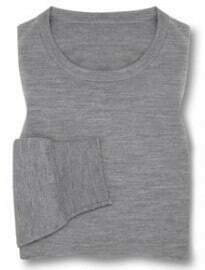 Finally, if your budget stretches, their cashmere knitwear is absolutely unbeatable for under £100. It’s no wonder these guys are supposedly in talks about buying J.Crew. Speaking of J.Crew, what used to be a little-known brand has, with the help of Frank Muytjens and release of the Ludlow suit, cornered the whole ‘preppy/Americana’ market that sparked menswear’s resurgence in the first place. While their pieces are certainly a bit pricier than most, I would suggest two things: firstly, they offer the perfect middle ground between value for money and splurging. If spending £800+ on the perfect suit doesn’t sound like something you could afford, how does half that price sound? J.Crew’s suits are just as good as brands two or three times their price bracket, even if they are a little fashion-y (thin lapels, short jackets and slim trousers). Secondly, never buy anything from them full price. Sign up for their newsletter and wait for their fairly regular sales to make big savings. They’re still offering free delivery and returns online since opening their first London stores back in November, so take this opportunity to figure out what cuts and sizes fit your specific body type. Speaking as a gentleman with a larger than normal thigh and arse size (thank you Mr. Squat Rack), their ‘essential chinos’ fit perfectly and are great quality for about £70. Not a place I ever really considered until they released their fully-fitted dress shirts last autumn/winter. They are cut perfectly and available in just about every colour and pattern you can imagine. Not only that, they are always offering bulk buy deals on shirts and run regular money-off sales throughout the year, rather than seasonally. The brand produces surprisingly good knitwear too. I own a handful of their v-necks/cardigans, which have lasted me well and been in my formal rotation for a long time now. 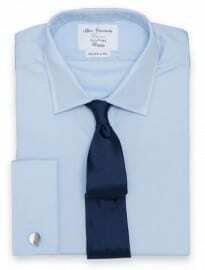 Finally, they also happen to be the best place to pick up silk knitted ties without breaking the bank. Patrick Grant’s collaboration with Debenhams has been an absolute revelation within the high street market. I mean, did you see his AW13 collection? That grey Prince of Wales check double-breasted suit was a must-own and just over £100 all in. What more could you possibly want? Everything Patrick does has a fantastic British essence to it, whether it’s with E. Tautz or Norton & Sons, and now everybody has a chance to get involved. My personal favourites from his current SS14 collection include an awesome Breton stripe crew neck jumper, an olive waxed cotton field jacket and a pair of brown suede Chelsea boots. A personal favourite of all of us here at FashionBeans, from writers to readers, how could we have a list of this nature without including HE by Mango? Possibly the high street’s best kept secret, this shop never stops churning out good quality, well-fitting and affordable basics that are suitable for every type of gent. Whether you want a simple woollen cardigan or a check tweed blazer, the brand will most likely produce it, and in a wide array of colours too. Their footwear isn’t bad either, although if you value true longevity it’s best to look elsewhere. OK, this final brand may not exactly be within most peoples’ price range, but I had to give them a brief mention. With a half canvas suit from quality Italian mills ranging from £300 to £700, and an in house tailor to do all the alterations, you can’t go wrong with Suitsupply tailoring. They sit in the same price bracket as places like Reiss, and are far and away superior in terms of quality and construction. Most of their suits have a nice Italian twist too (even though they’re a Dutch company), with unstructured jackets, soft shoulders and slightly wider lapels prominent features. Their matching formal accessories and elegant selection of footwear is also superb. Overall, they are well worth a visit the next time you’re in London. I’d like to leave you with one final thought: I firmly believe that truly stylish men can blend both high and low end clothing together seamlessly. 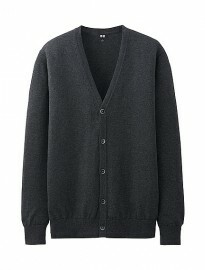 After all, I only discovered Uniqlo’s superb cashmere line after reading an interview with Nick Wooster. And if it’s good enough for The Woost, it’s always good enough for me. But above all else, fit is king. You can have a wardrobe full of designer pieces, but if they fit you like a tent you won’t ever look good. Stylish labels do not automatically make you a stylish guy. If anything they make you a slave to fashion and trends. I’d take a suit from H&M that fits me perfectly (with the help of my tailor) than an ill-fitting Hugo Boss any day. But as always, I want to hear what you have to say. Is my list absolute rubbish? What retailers/brands do you think offer true value for money? Should we all just buy expensive clothing and live off credit cards?